This fragrant Thai soup will leave you feeling cozy, happy, and all warmed up. Happy New Year, everyone! Is it just me, or is anyone else finding it hard to get back into the cooking groove after the holidays? After ten days in the Florida sunshine – and ten straight nights of dinners out – the idea of bundling up in my puffy coat to go grocery shopping is a little depressing. But the idea of comfort food is reason to cheer up, so this month I have lots of bowl food planned for you. First up: a fragrant Thai chicken soup with rice noodles. Made with a rotisserie chicken and pantry staples, it’s almost instant gratification. I hope it leaves you feeling cozy, happy, and all warmed up. You’ll notice that the recipe calls for Thai green curry paste, an excellent substitute for hard-to-find Asian ingredients, like lemongrass and galangal. You can find it, along with the other Asian pantry staples, in the Asian section of most large supermarkets. Begin by heating the oil in a medium soup pot. Add the shallots and ginger and cook, stirring frequently, until softened, 3 to 5 minutes. Add the green curry paste and cook, stirring constantly, for 1 minute more. Add the chicken broth, coconut milk, fish sauce, brown sugar, lime juice, and turmeric; bring to a gentle simmer. Continue simmering for 5 minutes. Meanwhile, cook the rice noodles by dropping them in boiling water. When ready to serve, divide the noodles and chicken into serving bowls. Ladle the broth over top and sprinkle with cilantro and scallions. Serve with Sriracha sauce and lime wedges. Heat the oil in a medium soup pot over medium-low heat. Add the shallots and ginger and cook, stirring frequently, until softened, 3 to 5 minutes. Add the green curry paste and cook, stirring constantly, for 1 minute more. Add the chicken broth, coconut milk, fish sauce, brown sugar, lime juice, and turmeric; bring to a gentle simmer. Continue simmering, uncovered, for 5 minutes. Meanwhile, cook the rice noodles according to the package instructions. When ready to serve, taste the soup and adjust the seasoning. Gently reheat the noodles in the microwave, if necessary. Divide the noodles and chicken into serving bowls. Ladle the broth over top and sprinkle with cilantro and scallions. Serve with Sriracha sauce and lime wedges. Note: As the soup sits on the stove, some of the fat may rise to the surface. Feel free to skim it, if necessary. Otherwise, you can stir it back in. This was absolutely DELICIOUS! Followed the recipe exactly. Very filling and so flavourful. There was no conversation around the dinner table..just slurping! Thanks Jenn for another winner in my kitchen! Don’t even wonder about it! Make it! Fantastic, easy recipe that is a go-to my house. I keep the noodles I am not using that night separate and combine when heating the next day for a perfect lunch! Absolute perfection. My husband said “flavor was exploding.” I always use about half of the fish sauce recipes call for, and that worked well here. This is marked as a “new favorite” and I’ll make it again soon. Great recipe! I had red thai chili paste and it worked perfect for me. I also used Udon noodles because I had some in the fridge. My kids ate this good. Due to making this without referring back to the recipe I accidentally omitted the sugar and had a few other proportions different but it was DELICIOUS – the green curry paste trick is a keeper. This soup is delicious and tastes very much like my favorite soup at a Thai restaurant in my city. My husband and boys loved it, not a drop left! This soup is one of our 2 family favorites (the Cioppino is the other). Since there is always someone doing low carb, we have had great success using Spaghetti Squash and/or Zoodles. But this soup is at least as good as our local Thai restaurant’s. I tried your beef stew with carrots recipe last winter and have made several times since as it literally is that good (coming from a very picky eater I had to force to try because his moms stew was all he would try… now he won’t eat hers, though we don’t have the heart to tell her). This Thai chicken soup is 100% absolutely delicious and so incredibly easy! I made it for myself last night as I enjoy Thai flavors and I made your Chicken Marsala recipe for my boyfriend of five years (who again, doesn’t even eat chicken typically). He asked when I could make it again! I will comment on the Chicken Marsala recipe as well because I often read comments prior to attempting a recipe. 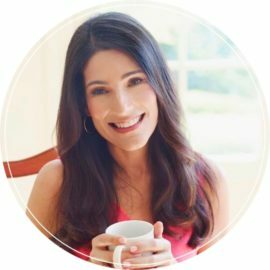 I have found that your blog is one of few who consistently gets 5 stars and rarely does anyone suggest doing something different or adding/subtracting/substituting ingredients. I don’t think I will even spend my time reading comments anymore, as your recipes are that good as is! What I also love is that you don’t have crazy ingredients that most of us who enjoy cooking don’t have on hand. I haven’t bought a cookbook in ages with the internet, but ordered yours today! Thank you so much, Jenn! As a Nurse paying back student loans on a Masters Degree… I almost feel like I’ve fulfilled my second dream degree in life of being a chef! I found the basic recipe more bland than I would like. I did add 2 cloves minced garlic and sliced mushrooms and red pepper. I used light coconut milk….maybe that was part of the problem. I ended up adding more green curry paste, and then added 2 tablespoonfuls of red chili paste, which added a lot of flavor and just the kick it needed. This was so amazing! My first time making anything curry related and i was blown away by the flavors and how easy it was. I did add carrots, baby bok choy, and an extra tablespoon of green curry. This is now one of my families favorite dishes and will be making it again. Amazing! Found your recipes about a month ago and have yet to be disappointed. We love this recipe. I would like to make it for guests but I am not sure about how much I can do ahead of time. Suggestions? Hi Bonnie, You can make everything ahead of time — just wait to combine the soup with the noodles until right before serving. Absolutely perfect. My husband couldn’t stop raving about it and has requested it twice this month! My husband and I absolutely LOVE this recipe. It has a bit of a bite, but not overpowering. It’s warm and soothing and interesting. Just like every recipe we’ve tried of Jenn’s (and we are probably at about 60! ), her recipes wow guests, are delicious, and…I know I’ve used this word before, but they are interesting. She has such a way with a recipe that just engages the senses. This recipe is no exception. Hi Penelope, Perfectly fine to add it! Beautiful! I added spinach, roasted shiitake mushrooms and red peppers, and used Thai kitchen “stir-fry rice noodles.” Never use these rice noodles for the soup. They’re too thick. It’s better with traditional rice noodles. My hubby loved the soup! We left out the fish sauce, but I think it needed it. Do try…it won’t disappoint! I’ll never have to buy it again at a restaurant. My husband and I loved this soup. Maybe our bowls are big or we were just really hungry but we wanted more. When doubling the recipe, would you double exactly or would you add a little more or less of an ingredient? We’ve had this delicious dish, quite a few times. Wondered if the broth portion , with all the ingredients. can be made 24 hrs ahead.? Then just do noodles/ chicken and toppings, the next day. . Packed with flavor and so simple if you have the ingredients on hand. Husband and I loved it as a Sunday lunch on a rainy CT day. I’m going to try it next time with some spiralized veggie noodles – great idea! The first time I made this, we found the 2T fish sauce overwhelming. I made it a second time w/ 1/2 tsp fish sauce and my family LOVED it. We are a family of 5 and will eat the whole pot, so I just add the chicken to the pot to warm it. Found the Thai Kitchen brand ingredients at a local WalMart, already had coconut milk and Sriracha from Trader Joe’s (but they should be in most stores). Super delicious! Thank you for this recipe. Made this tonight exactly as recipe dictates. It was amazing! I did add some sliced avocado which was yummy. Hi Jenn! I love all your recipes and looking forward to making your Thai Chicken Noodle Soup tomorrow! Quick question, what is the difference between Green & Red Curry Paste? I love spicy foods, but some of my family likes dishes with a little less spice. Is there a major difference between the two? I always like making recipes as instructed the first time around, and we do have Red Curry Paste in our home. But if you think Green Curry does make a difference, I will head out to the market tomorrow. Thank you for all your wonderful recipes! Can you keep the rice noodles in the broth after making the recipe for leftovers, or do you have to keep noodles and broth separate? Hi Jenifer, I’d store the soup and the noodles separately in the fridge so that the noodles don’t soak up too much broth. Love this recipe! This is another of my top ten favorite recipes of yours. 🙂 I love it even without the chicken and noodles. I was wondering how well you think the broth would freeze? I’m thinking of double or tripling just the broth to freeze so I have it easily on hand this winter. Thanks! I would love to make this but it has a value of 20 points per serving on WW. What can I do to lighten it up but not sacrifice flavor? Spirit-warming soup that completely satisfies! I substitute coconut oil, coconut sugar, and chicken bone broth. This soup is yet another HIT. It is surprisingly filling and absolutely delicious!!! My wife and I keep a list of recipes that we like and will make again and this one was most happily added…along-side the many others from this site. With fish allergies, is the fish sauce what makes the dish? Also, what else can I use to make with green curry paste? Unless, I have multi use for that ingredient it will go to waste. Hi Nancy, You can use soy sauce in place of the fish sauce — the dish will still be good, it will just lack that traditional Thai flavor. And to help you use it up, I have a few other recipes that call for green curry paste — the Thai Shrimp Curry and the Thai Red Curry Chicken (which calls for red curry paste but it’s fine to use green). Hope that helps! Super tasty soup! I was so happy to find this recipe is so close to my favorite restaurant’s soup. I added a bit more fish sauce and decreased the brown sugar by half ( that’s just me, my family likes it the original way). When I have them, I also like to add some homegrown jalapeño and lemongrass. I love your site! This is delicious, i thought my son was going to lick his bowl. Many flavor levels and ways to adjust the spice. Great go to recipe! This recipe became an instant family favorite! It’s an easy one to customize for family members, too (leave the chicken out for the vegetarians, add extra cilantro or sriracha for some people), because each bowl is assembled separately instead of the whole pot being the same. My family loves this meal! And so do I. It’s a welcome addition to our family meals. Even the kids’ friends love it. I made the recipe just as it’s published. Thanks Jenn! On a chilly fall day, this is my go to dish. I always keep these ingredients stocked in my pantry. Great balance of flavor and easy to make. I substitute the rotisserie chicken with cooked chicken breasts cut diagonal in thin strips to mimic the look of soup in Thai restaurants. I also add a bit more fish sauce to enhance the flavors. My husband loves this recipe! Perfect balance of spice and flavor! Highly recommend. Omg, I’m not exaggerating when I say this soup is amazing. I made it for my husband and kids last dinner and we all loved it. I brought the leftover for lunch today and if I dare say, its even better the day after. Its easy and delicious, hurry up and make this! 🙂 So glad you enjoyed this soup and the other recipes you’ve made. Thanks in advance for buying the cookbook – I hope you find lots of new favorites in there! I made this recipe using rice sticks. The package said to soak five mins then put in recipe for two mins. After soaking I put noodles in bowl instead of soup and poured soup over them. My noodles became clumpy in the soup and I disliked their texture. The broth was great the noodles no. Are rice sticks a substitute for rice noodles? I saw another recipe where they cooked the rice sticks. Should I have cooked them rather than soaked? Hi Cimdy, I wasn’t familiar with rice sticks, so I googled them and it sounds like rice sticks and rice noodles are the same. If the package directed you just to soak them, I wouldn’t think they’d need to be cooked, so the fact that they became clumpy a bit of a head scratcher – Perhaps next time you should try a different brand. I’m sorry you had a problem with them! Amazing recipe and super easy to make! YUMMY! Wow what an easy recipe to whip together. My hubby has a chest infection & I thought a nice soup would help him feel better so I made this for him. I’ve made a similar recipe in the past that was a lot more labour intensive & this packed the same flavour punch we thought. My hubby said “wow, this is soo good throughout the meal”. I made recipe exactly as written but next time we’ll add bean sprouts with the chicken/noodles. Hi, this looks great but I am a vegetarian and would like to swap out the chicken with some veggies. Is there a combination that you would recommend to try? Hi Errin, Another vegetarian reader commented that she replaced the chicken with seitan/tofu/edamame and enjoyed it. This would also be nice with mushrooms, sliced bell peppers, and/or carrots. Hope that helps! Yum! I made this with red curry paste because I love it. To amp up the broth a little I halved the proportion of chicken stock and increased the curry paste a bit. I also added 2 hot chiles and some stir fried red pepper and string beans. It was still mild but very tasty and so easy. This recipe looks delicious! My daughter is allergic to fish sauce. What would you recommend as a substitute? Hi Lisa, The fish sauce adds a distinctive Thai flavor, but you can omit it. While it’s not a perfect substitute, you could use soy sauce instead. The soup will still be tasty; just without as much of a Thai “bent.” Enjoy! This sounds delicious and I would love to try it. However, we are not fans of cilantro. Is there another herb that you would recommend in its place? Maybe just some fresh parsley? Parsley would work. Basil or mint would also be good substitutes. Hope you enjoy! I am an enthusiastic home cook but I have never posted a review for any recipe online…however after making this tonight with my 16 year old son, I feel compelled to share how incredibly delicious this was! We enjoyed it so very much – it was as good as anything you could find in a Thai restaurant. My son hugged me many times while we cooked together and told me how much fun he was having making this with me. Made eating this yummy soup all the more special! Awesome recipe! Hi Carol, There are so many different green curry sauces, it’s hard to say not knowing the product. My guess is that it’ll work, and you could add it to taste, but for best results, I’d stick with green curry paste. Sorry I can’t be more helpful! Yes, Michelle, I think shrimp would work nicely here too. Hope you enjoy! My husband & I love Thai & I am itching to try this recipe only I currently have everything BUT the proper paste!! Has anyone tried this with red curry paste or would that be unacceptable? Hi Shayda, yes, you should be able to use red curry paste with no problem. Hope you enjoy! Made this tonight and used spaghetti squash instead of rice noodles for the low-carber’s in our family. Wow. That was such a treat! this was so good. Easy to make too. Loved this recipe! Passed it on to a friend. Easy with easy to get ingredients. Use good rice noodles from the Asian market..makes a big difference compared to the grocery store noodles. I made this Thai Chicken & Rice Noodle soup for my husband and I. We love Thai food so were a little skeptical but found it to be rich and flavorful. Our tastes differ for hotness so serving the Sriracha sauce on the side meant we could adjust our own degree of hotness. I added a bit more Thai green chili paste and just a tad more fish sauce as the one I had seemed too mild. I also used the low fat coconut milk and it was just perfect. Be sure to make this as it is really delicious and we ate it for two meals. I only have reduced fat coconut milk, will that work for the recipe? Hi Thessaly, I think the richness of the full-fat coconut milk, but reduced-fat will work too. Enjoy! This is a comforting delicious soup! Great to warm up in the cold winter months. Made this last night exactly as written with a addition of a few thin slices of red chili pepper to the broth while simmering. I added more noodles to the bowls than suggested too as we really like noodles and a thicker soups. This is a wonderful recipe and everyone loved it. With a couple of people in the family feeling a little under the weather this was a great alternative to american style chicken noodle soup. This soup is so good and easy! I throw the noodles in to cook them while the soup is heating up. One less pan to wash! I made the Thai Chicken and Rice Noodle soup for very discerning Thai food aficionados so I was a little apprehensive since this was a first-time recipe for me. To say that this was a rave hit is an understatement. One of my guests actually said that the people at their favourite Thai restaurant would love to have this recipe! I made the soup exactly as written and then I added a little more lime juice and a splash of Siracha to each bowl. Fabulous!!!! I love this dish, but my kids (4&7) don’t like the heat of the curry. I cut the curry in half and add the heat by thinly slicing hot peppers with a mandolin for the adults to add. It make a wonderfully quick but yummy dinner that you can get on the table with in 30 min! Made this. At last step for soup (after turmeric) added 6 thai chiles sliced. It was the heat my husband & I were looking for. This soup is so flavorful. I absolutely love that it has so many great ingredients like coconut milk & tumeric. That it comes together quickly & is gluten free. The extra servings: I kept the chicken & rice noodle in one container and the soup in another to reheat later. I would absolutely make this again. So very good. Just made it last night. I just made this delicious soup. The flavors are spot on. The only adjustments that I made were to add some vegetables, I added some cubed zucchini, carrots sliced thinly, mushrooms, and as a garnish bean sprouts for a bit of crunchiness. Did anybody use shrimp instead of chicken? If so, when did you add in? Always enjoy your delicious recipes, which are easily made, and with ingredients most home cooks can source. Thanks Jen! Hi Jeanne, it does have subtle undertones of coconut, but plenty of other deep flavors. I would encourage you to make it if you like the remainder of the recipe; I think you’ll enjoy it. We just finished eating this soup. It was delicious!!!!!! I used red curry paste (the store must have been out of green). So simple to make, I normally don’t cook that much Asian food because of the hard to find ingredients. What a great idea to use curry paste containing the hard to find ingredients. Even my 2 & 5 year olds loved it! Not spicy at all (of course no sirracha for them). As my husband and I were eating/enjoying this we agreed that next time we will hard-boil some eggs and add to the soup. I made this for my family, and they loved it! Definitely will be making it again. Thanksgiving! I love this soup so much that I make a double batch of the “base” (everything except the cilantro, chicken, rice noodles) and freeze it for future use. When we’re ready to eat, I simply warm it up, add chicken (and/or pan-seared shrimp) noodles (or cooked rice) and cilantro. Voila! Perfect dinner for a cold day. I’ve used both green and red curry paste and love both. Oh, I forgot to say that sometimes I add vegetables and leafy greens (any combination of things like carrots, red bell pepper, snow peas, mushrooms, shredded bok choy) towards the end of cooking…gotta sneak in those veggies! Best recipe ever! One of my favourites! Is the turmeric fresh or dried in the recipe? Hi Janette, It’s dried – sorry for the confusion! Excellent soup but used red curry paste as I had that on hand. Too spicy for us and we can take a lot of heat, so I am wondering if the green would have been milder. I would use only 1 Tbsp. next time of the red. Hi Rochelle, sorry you found this a bit too spicy. Regarding the curry paste, while it varies by brand, red curry paste is generally not spicier than green; sometimes just the opposite, so next time I’d stick to 1 Tbsp. to be safe. Thank you and no need to apologize. Everyone’s tastes are different and as you said, it may have been the brand. Always can adjust and we thought the soup was fantastic as all your recipes! This is outstanding! Like many other reviewers, I used red curry paste, as I love the flavor and always have it on hand. I make a batch of this whenever my husband or I have a cold, and it works like magic. We swirl in some Sriracha to serve, and the combination of the hot soup and spicy Sriracha clears the sinuses up right away! I just made your Thai Chicken and Rice Noodle Soup. It was so good! I made this tonight, I made it with red curry paste. I was afraid it would be too hot, but it was a deep creamy heat, very pleasant. We loved it! Slurped it down to the last drop. 😀 Thanks for the great recipe! Absolutely perfect after a day of cross-country skiing. I didn’t have any chicken so I used frozen wild caught gulf-coast shrimp. As always, Jen, I can count on your recipes to be fabulous. Love your recipes! Made the Thai chick noodle soup last week. Was great but would leave out the sugar, was a bit sweet. It is excellent not like the Thai I had and fell in love with. their version was a lot lighter in color. I don’t think they used Tumeric. But your recipe is really good. Can’t wait for the family to come home and try it!!! I, too, used the RED curry paste and it was great! The ONLY other change I made was I used 1 1/2 TBL of the fish sauce, only because of the other reviewers comments. I preferred using Jasmine rice on mine, though I took some to my neighbor who enjoyed it with the rice noodles. I did serve mine with Siracha, scallions, and cilantro. YUM for the current cold temperature of 20 degrees. Thank you for another great recipe – this is my third time using one of yours. Very good. Easy to make. Thank you! Oh my goodness! I just cooked this soup and it was incredible. Absolutely perfect and so quick and easy! It is in the teens here in N.C., which is practically unheard of and this soup has such perfect warmth but not too heavy. Great cold weather meal. Thank you so much for sharing. Everyone in the house has a nasty cold and nothing sounds good after all the crazy richness of the holidays. So I decided to give this a whirl- all the aromatics can only help with a stuffed up nose and busted immune system, I figured. Also it had a short enough cooktime for the cough medicine to not wear off and strangely, I had everything hanging in my pantry aside from the chicken. Wow. First thing I’ve tasted in four days. So good, literally felt myself sigh and relax into the bowl. Hubby is on the second helping, trusty box of Kleenex and Siracha by his side. Everything on your site is so reliably good and true to the recipe. Thank you again! This looks divine! I wonder if I can make the broth ahead of time? The day before perhaps or morning of? Thank you! Sure, Char – a day or two ahead is fine. Just made this dish for the first time and LOVED it! The flavor and consistency were perfect as is! Looking forward to making this again in the very near future. What can be used instead of the Coconut Milk? Hi Gwynne, You could try just omitting the coconut milk, but you might start off with a half as much curry paste, fish sauce, and lime juice – then add more to taste. I just worry those flavors might be a little too strong without the richness of the coconut milk to balance them out. Hope that helps! When we first made this recipe, I loved it but my husband said it needed more seasoning. HOWEVER, after a few more bites, he said he changed his mind and it was great as-is. Now, we crave it and make it all the time. We do have to use red curry paste, since we can never find green curry paste at the store. We usually make more noodles, too, as we like a high noodle-to-broth ratio. Overall, yummy and easy! Love this recipe! The combination of flavors is wonderful. My husband commented that we should put it in our regular rotation. Only change I’ll make for next time is to slightly reduce the fish sauce, as it was a little strong for my taste. Overall, a winner! I have really been enjoying Thai soups and can totally appreciate Jenn’s tip on the green curry paste as a substitute for lemongrass, I have such a hard time getting my hands on it, which many times keeps me from making the dish at all! I love your tips Jenn!! So I have made this a few times and played around with it a bit: love the green curry paste! I added mushrooms and bok choy to my soup (to amp up the vegetables), I use my own bone broth (always for my soups!) and the second time, I used shirataki pasta, which is a zero calorie, gluten free noodle. Turned out great, fewer calories, always a win! This is one of my favorite recipes! It is a very simple recipe packed with flavor and takes little time so you can prepare a delicious meal even when you have a busy evening. Bonus: using a rotisserie chicken so I don’t have to cook any meat. My husband has this in his top 5 and we love the leftovers. Thanks Jenn! Fantastic recipe! This has become a staple in our home. The first time I made it I followed the recipe exactly and it was amazing. The next time I decided to add garlic, broccoli, carrot, potatoes, and again it was amazing. It’s so fast and delicious, and it saves well. This was delicious! I’d roasted a chicken the day before and used all the juices in the soup. Great body and flavor, with some nice heat from the Sriracha. I was thinking of trying it with red curry paste. Would you tweak any ingredients to do so? Thank you! Glad you enjoyed it, Allison. Red curry paste should work – no tweaks needed. OMG!!!! This is absolutely AMAZING!! I cooked some mushrooms, bok choy and zucchini to add some veggies but this broth should be tripled it is so good. This soup was the perfect blend of Thai flavors and so easy to make…I’ll be fixing this regularly! Thanks for another success story on my attempt to be creative. This recipe looks so delicious! I really like the taste of yellow curry though and was wondering if you you had any thoughts on how well it would work to substitute yellow curry for green curry? Hi Natalie, I think yellow curry would work here as well. LMK how it turns out! I just finished making this with the yellow curry paste and it was AMAZING 🙂 Thank you so much for this great recipe and for your reply back to my question in November! Made this for the first time for my husband who had a cold and it was the perfect cure! So warming and a delicious balance of flavors! To add some heat and crunch added some sliced up jalapeno at the end along with cilantro and scallions. A definite hit and will make again! I have made this soup twice. The first time I made it exactly as Jenn’s recipe using green curry paste and the second time with red curry paste. Both are delicious! The second time around, I only used 1/3 cup of coconut milk and the entire small jar of red curry paste and it was very good. I love tofu and added some firm tofu as well. Great recipe! I made this soup last week and I’ve been craving it everyday since! I realized I only had a smaller can of coconut milk so I had to use that…it was still incredible. Another Once Upon A Chef recipe to add to my collection! I can’t wait for the cookbook!!! When I made the Thai Chicken Rice Noodle soup for the first time, following the recipe exactly and we absolutely loved it! I have made more Thai soup recipes than I can count but this one was perfect! I would encourage anyone to try this one! Everyone seemed to have loved this soup. I struggled just to give it 3 stars. I love Thai food and am familiar with the ingredients. In fact I had all the ingredients, except for the chicken, in my cupboard; but I thought the seasoning was really off. Maybe too much turmeric? I always follow a recipe exactly the first time and make adjustments for my taste, if necessary the second time; but I didn’t like it enough for there to be a second time. It didn’t work for me. I am going to try making this for the first time. Can I omit the fish sauce? Will that make a huge difference in taste? Thanks. Made this for my family last night and they requested that I make it again next week. Everyone loved it. I used red curry because my local grocery store did not have green, but it was still spectacular! OK, Jenn you nailed it on this recipe. It is VERY authentic tasting, super easy to prepare, and loved by all who tried it. I love recipes with layers of flavors and textures. I don’t know how but this recipe has more layers of flavor than it has ingredients. As a test run for friends that don’t use any added salts in their foods, I made this with unsalted broth and it was still great! Thanks for the recipe!! I was wondering, do you have a suggestion for a vegetable or salad to pair on the side with this? They also don’t eat dairy. Glad you liked the soup with your tweaks! And you may want to try a fruit salad as a side if they avoid salt. This one is in season and so pretty. I didn’t have any rotisserie chicken on hand so I simmered a couple of bone-in chicken breasts and ended up with a great broth as well as enough chicken for this recipe. I would not change a thing otherwise, it was a great recipe! I think the green chili and fish sauce are key ingredients, even though you don’t need much of it. Can’t wait to try more of your recipes! I LOVE this soup and so does everyone I made it for. Now I would like to make it for my kids- could you replace the rice noodles for just rice? Just easier for little ones. So glad you enjoyed the soup! Yes, you could replace the rice noodles with rice here. Hope your kids like it too! I made this recipe based on all the favorable reviews. I was not disappointed and neither were my tasters (kids). This is a GREAT soup and one I will add to my recipe collection. I have been a huge fan of yours for years…I feel like your recipes make me famous in my family. =) Thank you. This is the first time I’ve made this soup. It is simply fantastic. I have a question…can I add the extra noodles into the soup for leftovers tomorrow, or shall I keep them separate? Hi Kristian, Glad you enjoy the recipes! I’d store the soup and the noodles separately in the fridge so that the noodles don’t soak up too much broth. Just delicious and my kids loved it too. It has a nice clean taste and is perfect as a little cold remedy. Thank you for the recipe! I have been wanting to make this soup for ages, and I was not disappointed! Many Asian recipes have a daunting list of ingredients and are very labor intensive. This came together quickly, and was very easy to make. I have never cooked with Thai Green Curry paste before, and I love the beautiful, subtle flavor. Although I like cilantro, I omitted it because not everyone else does. The fresh scallions and hot sauce (I used Sriracha) took it from really good to fantastic! I added a little chopped bok choy towards the end of the cooking time, and served with a favorite Harris Teeter bagged Asian salad with complementary flavors. I love home made soups, and this will be a regular menu item for us. The first time I made this recipe I followed it exactly and it was absolutely delicious. The second time, I omitted the chicken and substituted zoodles for noodles to have a lighter version. That was good too. Either way this recipe is now on a long, long list of recipes from Once upon a chef that I will continue to make regularly! This soup is delicious and comforting on a cold night. Thank you! Actually, the recipe calls for a store-bought rotisserie chicken, so no cooking needed! And you add the chicken right before serving the soup. Hope that clarifies! My teenage son loved this soup – it’s delicicious! Thank you for this recipe! The flavors are amazing and while preparing it, my house smelled sooo good! My husband and I both agree this soup recipe is a keeper! Try it! This is an awesome recipe. I used half the fish sauce to taste. My 26 year old son was home visiting and drank the broth from the bowl. He had high praise for the entire meal. Perfection! Made the soup exactly as written and would not change a thing. This recipe is so delicious! I have made it several times now. It’s a winner in our house with everyone except my oldest. My 8 yr old daughter requests it several times already. I did cut down on the green curry after the first time because I found it really spicy. Though you can add more chicken broth to cut down on the level of spiciness. Instead of the rotisserie chicken, I sliced chicken breasts, season and saute and put aside to be used. Next time I make it, I will try the lemon grass and see the difference in flavour. Well done! Love, love this recipe! The medley of flavors are amazing and everyone in my family loves this. Bonus: it’s gluten free. Great recipe, very easy and flavorful. My husband declared it a winner and that is high praise. I did add lemon grass and kaffir lime leaves as we love them and add to everything Thai. I also added red bell pepper, mushrooms and fresh basil for some added veg. Delish! Loved this soup! I would definitely recommend this recipe. Such delicious soup, very much like one we enjoy at local Thai restaurant. I did halve fish sauce and green curry due to high sodium content, but flavor was still so complex and wonderful. Thanks for sharing! I really enjoyed this, though I thought the fish sauce was a tad overpowering. Maybe it was just the type I used. I agree. Don’t know if it was the brand of fish sauce I used or the 2 tablespoons of it, but I thought it did not make for a great balance of flavors–overpowered the delicious curry and coconut. Still good soup though. Also, I think I will eat the leftovers on rice rather than the rice noodles since they don’t seem to add a lot to the soup. They are fairly flavorless and pretty messy to eat. Rice seems yummier. ……another ” company worthy” recipe! I have come to expect nothing less,and count on Jenn’s recipies to hit the mark every time….this soup was even better the next day! Recommended without reservation! Can’t wait for the cookbook next spring! This soup is wonderful, and has become one of our family’s favorites! It’s easy too, and gluten free, which is a big plus since we have a Celiac in the house. Really good, dry similar to one I make but I’ve never had proportions, I just throw in handfuls of this, bits of that, taste and adjust. Now I have an actual recipe I can share with family and friends! Thanks!! Super easy to make. The pay off is awesome. So flavorful. Thank you! Fantastic! But then again all of your recipes are! You are always my go-to! This recipe is fantastic, only thing is it can use more veggies. I added matchstick carrots to the broth as it was cooking for a more colorful presentation, and a few boiled French beans or pea pods to amp the nutritional value. This is the second time I’ve made this soup, but I think it was even more delicious this time around. Tonight I used full-fat coconut milk (rather than lite) and it imparted more flavor to the soup. As I was multitasking in the kitchen, I mistakenly added twice the brown sugar, which I offset with a touch more lime juice. The resulting soup was super flavorful and a huge hit. Moral of the story: you can’t really mess up this recipe! This soup is so easy and very flavorful. It is my new, go-to chicken noodle soup. If I feel a cold coming on, making this soup is first on my healing list. The spicy sriacha paired with the lime and hot broth really open the sinuses and warms the inside. The lime and chopped cilantro are critical– more than just a garnish. In a pinch I have used vidalia onion opposed to shallots, but it’s best as written. I followed this to a T except I used lemongrass instead of green curry paste. I loved that it called for turmeric, as I’m trying to cook with this spice more. It was a big hit! Very Yummy soup! Used Red Curry Paste, poached and shredded chick breasts and omitted the fish sauce but it was still great. My family loved it! If I wanted to use fresh lemongrass, turmeric and galangal how would I adjust the recipe. Hi Cheryl, I would suggest looking online for a recipe for Thai green curry paste to make sure you get all the ratios correct. I made this last night and it was fabulous! I plan to keep this recipe in the front of the folder as it will go into the regular rotation. Help! I don’t have rotisserie chicken. I have boneless chicken breasts in the frig. How should I cook/season the chicken so I can use it for the soup? I have all the other ingredients. Can’t wait to try this recipe! Hi Terry, I’d probably just poach them. Here’s a recipe if you need one. Hope you enjoy the soup :). I made this for my sister who is pregnant and had a bad cold! In the absence of actual medicine, I wanted to give her something soothing and REALLY flavorful! This definitely fit the bill, and the flavor, despite a TOTALLY non-complex cooking process, was out of this world! Thank you SO much! I’ve made this recipe twice and shared it with several friends. The dish was so simple to make and really delicious. I had everybody thinking I was some really good cook. This is so fabulous!! I have stopped getting most recipe emails…I just wait for yours. You wow us every time! But this tops them all. Oh my goodness, I did love this soup! Followed recipe exactly except that when I realized I had I dropped 3 little cubes of frozen minced garlic into the pot instead of 3 cubes of frozen minced ginger (btw, very hand when one’s fresh ginger has long passed), I thought for sure I’d ruined my dinner. I decided to take a chance, dropped in the required 3 cubes of ginger, and hoped for the best. It was simply delicious! A very forgiving recipe! I also used 3 instead of 4 cups of chicken broth based on reviews of others and there was a lot of soup for ladling into the bowls. I didn’t have cilantro, but will use it the next time, and there will definitely be many next time. We made this last night and it was fantastic! I did add slightly less broth as one reviewer recommended. Next time I’ll be doubling the recipe so we have more leftovers. I might consider adding mushrooms to the recipe as well. This is such a yummy, flavorful soup. The first time I made it, I was using some leftover broth that I had made, and ended up with a little less than the recipe called for (I think it was just over 3 cups instead of the 4 cups in the recipe). I left everything else the same and just went with it, and my husband loved it. The second time I made it, I made it just as the recipe said and he didn’t like it as much – not quite as flavorful. I’ll definitely keep making this recipe, but probably use about 3-3.5 cups of broth for it. Delicious! Even my son loved it and he is a picky eater. He said it was the best thing I ever made! I am a huge fan of your website Jenn and tell everyone I know to check out your site for easy and always delicious recipes. You make me feel like I am a real chef too! ThankYOU! Loved this soup. Such a great, flavorful recipe that comes together quickly and easily on a weeknight. I found all the Thai ingredients at Whole Foods. My husband and I polished the whole recipe off (2 bowls each). We will make this again and again. Outstanding recipe. I had some leftover rice noodles and roasted chicken and this made a delicious and easy meal. I added a can of drained straw mushrooms to the soup base that I had purchased for a Thai soup recipe I never made. It worked out great especially since I didn’t quite have 2 cups of chicken leftover. Do u think this would still be good without the turmeric or is there a decent substitute for it? I can’t get it where I live…? Yes, Grace, I think this would still be tasty with no turmeric. Hope you enjoy! I loved this!! And so did my whole family. I was so surprised that I could cook this at home. Plus all the ingredients were under $30 and can make enough to serve 8-10 people if you double the instructions. Delicious! Made it tonight with green curry paste and will try with red next time for an additional kick. I skipped the noodles this time and had rice on the side, in addition to steamed cut asparagus and red pepper with coconut oil spray and pepper. I’ve made something somewhat similar for years, but the ginger and the sriracha kicked it up for a soup that my growing son and husband both loved. My 2 year old ate this! We loved the flavor. I only had buckwheat soba noodles, but they worked out fine. Easy and delicious. We like a little extra spice so I add a diced jalapeno and also some strips of red bell pepper. This is also the BEST way to use up leftover turkey. Loved this soup so much! I substituted wider pad thai noodles as that was what was in my pantry, and it turned out fine. Also, I used regular chicken broth instead of low sodium, and it was delish, not too salty. My family was dealing with a significant upper respiratory infection when I made this, and this soup really helped everyone feel better. Also, it tasted even better the next day. Delicious! The broth was excellent – I’ve never used shallots in a Thai curry before and they added great flavor and texture to the soup. Using rotisserie chicken made this a fast week night meal that everyone enjoyed. This was very tasty as are all the recipes on Jenn’s site. Very rich with the coconut milk. I will definitely make this again. This soup was delightfully easy and made plenty for leftovers, which heated up well. But be sure not to overcook the noodles, especially if you want to reheat leftovers. Also, I have learned over time that lime squeezed in during cooking all but disappears, so I recommend adding the lime to the finished soup just before serving. All in all, an easy and delicious recipe. This was a rich delicious soup, but not heavy. Husband made it for me post surgery. So comforting and yummy. Thanks so much. Hi I just cooked this last night! What a great meal with some really easy steps. Thanks for this, l will be adding it to my collection. Love the Thai foods! Another great recipe from OUAC! I have wanted to try this from the first time I saw it on the website, finally had everything I needed. Boy, am I glad I made it! The flavors all come together in a wonderful way. Only thing I did different was to add a little extra lime juice. Keep those recipes coming! Can’t wait for the cookbook! This was very good! We added some diced jalapeños and extra sriracha because we like it very spicy. Yum!! I tested this recipe as written on dinner guests. Everyone had second servings! Can’t wait to make it again. Thank you for the always awesome recipes. Every recipe of yours that I have made has truly been outstanding. Can this be made ahead and kept warm in a crock pot? Yes, but I wouldn’t add the noodles to the crock pot; they’ll soak up a lot of the broth. I have made this about 4 times now in less than 3 weeks!! I hope you don’t mind but I had to make changes here and there due to what I had in my kitchen. 1st time – 2 cans of chunk chicken instead of rotisserie. I loved it. 2nd time – I had eaten the whole bag of rice noodles the first time so I made a pot of rice and poured the soup on top. Loved it. 4th time – 1 can chicken and 1 package firm tofu. I chopped brussel sprouts and used celery instead of shallots. Rice again, avocado chunks, and since I had no cilantro, I got brave and sprinkled some finely chopped fresh mint leaves on top. I would strongly suggest that people make a double batch because the original recipe is THAT good!! The next day all you have to do is reheat the soup and the noodles take less than 5 minutes to make and you have a fantastic instant meal. This was so yummy! My husband had seconds and was eyeing for thirds. It was pretty easy to put together since I had roasted a full bone-in chicken breasts the night before. I used pad thai rice noodles since I had those on hand. PERFECT weekday meal on a cold day! Thank you so much for this and a lot of other recipes too. Kudos from the Netherlands. This soup is amazing. My husband loved it. I omitted the fish sauce to cut down a little on the sodium and the taste was still great. Using rotisserie chicken makes this a filling but quick recipe. Thank you! What an easy weeknight recipe that will be used again! I did substitute the same amount of shrimp (raw, peeled, and deveined) for the chicken and added three cups of chopped kale for the last three minutes of simmering and it was perfect. It was spicy enough that we did not need the sriracha. Thanks for a wonderful recipe! With the leftover green curry paste, I added some mayonnaise, sour cream, and lime juice to use as a dressing on tomorrow night’s dinner. This is probably my favorite soup ever! The taste is fresh, comforting and simply delicious a complete meal in a bowl. This will be my new winter staple for a fast soup on a cold day. Thank you! The broth for this is awesome! I made it Jenn’s way and added a bunch of veggies (bell pepper, broccoli, edamame, onion) because I didn’t have chicken. My familyLOVED this soup! Super easy and quick to make. Great flavor. It could be easily modified to a vegetarian version, which would be good also. Can’t wait to make it again. We LOVED this soup and it is so quick & easy! I followed the recipe exactly and added more lime juice at the end. We like spicy so we used quite a bit of Sriracha sauce. Have made it twice and will make it many more times! Love this soup! Easy and delicious. Ingredients were easily found. I can’t wait to try this soup, but I haven’t been able to find shallots in my country. What do you recommend as a good substitute? You could use sweet yellow onion in place of the shallots. Enjoy the soup! The ingredients in this soup blend beautifully to give authentic Thai flavors, color and of course a nice heat. I used my own chicken stock which adds a little more depth as well. I will make this soup often, thank you for sharing it with us! This was a delicious soup. I’m generally don’t like to use a full amount of hot sauce, but with this recipe, it’s exactly what it needs. I think it’s essential in the overall flavor of the soup. This soup was superb! Will definitely make again!!!! I tried this recipe over our snowy weekend. I enjoyed it but I think I would try it without the lime next time. My husband liked it so much he went back for seconds which is always a good indicator of deliciousness. Would like to try this soup because we are all congested this winter. However, I have little kiddos who can’t handle heat. Can I omit or sub the green curry paste? Hi Elaine, This soup gets most of its flavor from the green curry paste so I wouldn’t omit it – maybe use half? Thank you so much for taking the time to reply. Will try with half and see what they think. Otherwise, the soup is all mine!! My husband and I have made this twice (in 2 weeks) and it is SO delicious! Not to mention super easy. We used rotisserie chicken the first time and baked our own the next – both methods tasted great. Also, the second time around we used lite coconut milk – it worked well but you could tell it was missing a little something. 🙂 Will make again for sure! Absolutely loved the Thai chicken noodle soup.I will be tripling the recipe to take to a work luncheon where I know everyone will love it.I cooked my own seasoned chicken vs deli chicken.I have also made a # of the recipes and been thrilled with them all.Thank you so much for this wonderful website! Perfect in every way! My husband and I both loved it! So easy, and so satisfying. A bit exotic, yet, simple to assemble. Made this for dinner tonight as my husband has a terrible cold and thought this would really help him feel better! I baked some chicken breasts for this and made my rice noodles in a bowl by pouring boiling water over them. I used no sodium chicken broth and regular coconut milk. Oh my!!!! This soup was easy, and delicious. Layers of good flavors and just a beautiful presentation in a bowl! This will be a repeater for sure. Will make sure I always have the ingredients on hand! Besides being easy and tasting awesome, my husband said he thinks it definitely made him feel better! Great winter cure all! I just made this soup and it is amazing! My stepdaughter has a very refined palate and she said I need this recipe immediately! I will be making this often! I made it exactly as stated in the recipe. This is the perfect soup – so comforting and flavorful! It kicks up that basic chicken noodle soup! Ive made it a few times, and added fresh veggies….depending what was in the frig – carrots, fresh spinach, kale…and it was delicious! Funny story – that may help some??? I poured in a can of Cream of Coconut by mistake (very sweet and used in piña coladas) instead of Coconut Milk!! Had to throw all down disposal!! I made this last night. It was good but not great. The flavors were a little overwhelming and sharp… I put the broth in the fridge and had leftovers tonight. I added 1/2 tsp of sambal oelek. The flavors had definitely blended and it was delicious. Some things just taste better the next day. I’d definitely make again, perhaps adding some baby Bella mushrooms and maybe some bean sprouts or some other veggie. Loved it! Made this with brown rice mai fun and it was so yummy! My husband, who is not a big soup lover, thought this was great and even talked about ways to change it up for the next time like adding shrimp or edamame beans. A definite do-over in our house! Excellent recipe. I’ve made it three times in the past two weeks – the first time with chicken, the second and third times with shrimp and tofu. I love chicken, but the shrimp and tofu versions were even better. I also added a bit more chicken broth and noodles. A very filling and utterly delicious one bowl meal. I made this and it was very easy and absolutely delicious, the next day the flavor is especially wonderful! Thanks for the great recipe! Absolutely delicious! All 3 of my boys ranging from ages 11-17 loved this soup! I was requested to make it for the second time a week later! Love your website! What a wonderful soup! I loved that it was so simple and quick to make yet had great flavor. I know I will be making this often. I rinsed the noodles as in the photos, but didn’t see it mentioned in the recipe. Guessing it probably doesn’t have a huge impact either way. Thank you for another delicious recipe! Made this the other night and it was just fantastic. As a California transplant to the South I miss great Thai food. This gave us a fix. DELICIOUS!!! I should have doubled the recipe. My son and his girlfriend gobbled it up (should I say “slurped it down”? ), and my husband and I only had one bowl apiece before it was gone. No more left for anyone else. The cilantro and scallions on top are perfect! Thank you for another delicious, easy recipe, Jenn. Love, love love this soup! Simple and yummy. Using rotisserie chicken really tastes so good, amazing. I was thinking about adding some bok choy and also lemon grass. Could you help me with the best way to incorporate that in the recipe? Hi Marcia, glad you liked it! If you’d like to add bok choy and lemongrass, I’d put them in when you add the broth and simmer. (Lemongrass is pretty woody, so make sure to remove it before serving the soup.) Also, go lightly on the lemongrass as the curry paste already has some of that flavor in it. Thanks Jenn, I will try that! This soup was so easy to make and so delicious. I didn’t add fish sauce because I didn’t have it and it was tasty anyway. I added sauteed shitake mushrooms. Will make it again for company now that I know how good it is. .
My family hates fish sauce. What can I substitute? Thanks. Hi K, Unfortunately, there’s a perfect substitute for fish sauce, but you can use soy sauce instead. It will still be good- it just won’t have that distinct Thai flavor. Wow this soup was amazing. So easy and delicious! Nice to have some exotic soup in the dead of winter. ? This was amazing! I tried this out this past weekend and everyone loved it. I was told this tasted better than the local Thai spot! One thing I found out the hard way is that rice noodles absorb a lot of moisture so don’t be lazy like me and try to dump all of the noodles into the broth in the end when you’re getting ready to store the soup. You’ll come back to a container full of noodles! Is this soup supposed to be thick? Hi Nicolasa, The broth itself is not thick. It has the chicken and noodles in it to add a lot of texture, but the liquid is not very thick. Another awesome recipe ! My family loved it. I used some leftover rotisserie chicken, but didn’t feel it was enough, so I added some cubed tofu. It went wonderfully with the broth. So yummy. Made for my teen daughters last night exactly as written & they loved it. Don’t forget the extra lime with scallions & cilantro garnish–also the Sriracha puts it over the top. Easy weeknight soup-thanks! This recipe is the bomb. So much flavor beware when buying noodles make sure to buy thin noodles. Going to try some shrimp next time. Thank you sooo much for sharing this recipe. Definitely a keeper. You posted this recipe on Instagram and I knew it had to be my next recipe to try! I made this tonight and loved that it was so simple and quick. My husband said to add it to our rotation. Can’t wait for leftovers tomorrow. Thanks for another awesome recipe! I spent several weeks in Thailand and love the food and this is probably the best and closest homemade recipe I found. Tasted great easy to make. Thank you. This looks delicious! Coconut milk is high in saturated fat which is not good for my cholesterol. Is there something else I can use? Hi Gwynne, you could try lite coconut milk if that would work for you. If not, you could try omitting it, but you may want to start off with a half as much curry paste, fish sauce and lime juice – then add more to taste. I worry a little that those flavors might be a bit too strong without the richness of the coconut milk to balance them out. I made this today and it is outstanding. Really very little effort. I was wondering if it could be made ahead and frozen ( without the noodles ). I would serve this to company. Thanks for the great recipe! So glad you liked it. Unfortunately, I don’t think it would free well- sorry! Would not change one thing about this recipe. My husband and I enjoyed this soup and will definitely make it again. Wow, so good! I added some red peppers and carrots cut into matchsticks just because. Love the green chili paste! This is going in my regular rotation, that’s for sure. Made this soup this week. It came together quickly and the WHOLE family loved it -and I have teenagers! Great flavor with just the right amount of curry and spice to appeal to everyone and rich without being too rich. The family even requested it be added to our regular rotation. Thanks for another great recipe. This was really really good—definitely though store the noodles and broth separately after serving as Jen recommends. I didn’t do that after we ate the first batch (just put it all together in the pot and into the fridge) and it was very ‘noodly’ but delicious, the next day. Wonderful winter soup and it is now in the rotation! Rich and satisfying. Loved it! I’ve never used rice noodles before. Can I cook them, add them to the soup, and serve it later? I like to make most of my food ahead of time. I know this recipe will be great because I love every recipe I have tried of yours. Thank you so much. It is wonderful to have recipes that you know are foolproof!! Hi Linda, Yes, I think you could make this ahead, but I’d store the soup and the noodles separately in the fridge so that the noodles don’t soak up too much broth. Glad you like the recipes! I made this last night, and I loved it! The next time I think I’ll make it with rice, instead of noodles, just because I’m not a fan of rice noodles. It is a delicious and easy recipe. Thank you for sharing!! I made this for my honey last night and he slurped it down, couldn’t eat it fast enough. He kept raving about it, over and over, and was still talking about it this morning so I gave him a bowl for breakfast. We know that the way to a man’s heart is through his happy tummy. I have to agree that this was a delicious soup with lots of Thai flavors. It was one of the best uses of a Costco rotisserie chicken ever. I even boiled the bones to make my own homemade chicken broth. I even had enough chicken for the soup as well as chicken-vegie wraps. The meal was very filling. I could not find green curry paste, even looked for it at a large international market, so I used red curry paste instead. I also added a thinly sliced Thai chili pepper for extra heat. Delicious! I like to experiment when cooking and may try shrimp or rockfish next time. I think these flavors would also work. I would give this recipe a 10 if there were more stars. Thanks for fantastic recipes! I’m back to report that I tried this again last night but substituted shrimp for the chicken. I had extra large shrimp that I shelled and cut into 4 pieces each. Then I poached the shrimp in the soup for 5 minutes while I cooked the rice noodles. It was delicious. My honey also had some leftover soup for breakfast today. I also served this with your Thai Cucumber Salad with Peanuts which had lots of flavor and was a big hit. Today I had some of the soup over leftover rice for my lunch. 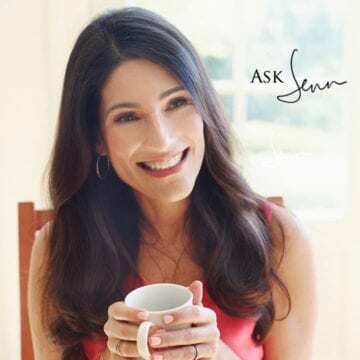 Hi Jenn – Love all your recipes! I was only able to find red curry paste (not green). Does this make a difference and what is the difference between red and green? Is red spicier? Is there a mild curry paste to try? Hi Alicia, Red curry paste would be fine here. And, while it varies by brand, red curry paste is generally not spicier than green; sometimes just the opposite. Hope you enjoy the soup! This is to die for. My family are a huge Thai fans and this recipe is as good as anything we get at our favourite Thai restaurant. Thank you!!!!! Yummy and better than carryout! Fantastic soup! I followed the directions exactly and would not change a thing! Although, I prefer cayenne pepper to Sriracha for heat. Will definitely make this again…delicious! My husband gobbled and slurped. Truly. It wasn’t pretty, but it is an accurate measure of how outstanding this recipe is. LOL! Glad you and your husband enjoyed it :). Made this today with leftover white meat turkey. My husband and I like dark meat and are always ending up wasting the leftover white meat. This worked wonderfully! The soup has a really full flavor and we particularly liked it after adding just a touch of Sambal Oelek . (I’m never sure exactly where to get “Sriacha sauce” so I just use some hot sauce I have on hand). This will definitely be a go to for a lighter night’s meal and to use up leftover poultry. I love this soup. I heighten the nutrition by adding one red pepper sliced, 1 c of halved sugar snap peas and 4 c loosely packed baby spinach. Great lunch and helps me diet in the new year! I don’t normally write reviews, but I loved this dish! It was easy to make and delicious. I used shrimp as the protein instead of chicken. I just threw it in there and let it simmer to cook. This soup felt velvety and soft in my mouth and was just right for a cold day. And my husband loved it too. Thanks so much! This was so delicious! Can’t wait to make it again! I dislike cilantro. Would parsley be a good alternative? I think basil or mint would be good substitutes. Enjoy the soup! I just finished a steaming bowl of this soup for lunch-perfect on a snowy afternoon! 5 stars, certainly, my only change would be to lessen the amount of fish sauce to 1 T instead of 2. It tasted a little strong for my taste. The flavors were nicely layered and nuanced. Thank you for another 5-star recipe! Made this last night. I knew it would be wonderful because every recipe that I’ve made from the OUAC website has been great. This did not disappoint. I followed the recipe exactly with one exception: I used 3/4 t turmeric. The depth of flavors was outstanding and it’s easy and quick to make. Didn’t use hot sauce as it didn’t need it. Might try with shrimp at some point. Another excellent recipe!! Thank you! If one would like to lessen the carb count, use spiraled zucchini or soy pasta (the angel hair would be best). It is available in grocery stores and most Asian markets. Hi Rebecca, So glad you like the recipes! I don’t think there’s any perfect substitute for fish sauce, but you can use soy sauce in its place; it will still be good- it just won’t have that distinct Thai flavor. If you try it this way, I’d love to know how it turns out! I’ve made this recipe tonight and it was lovely! Another amazing recipe! Quick, easy, and full of flavor. I omitted the fish sauce and it was still absolutely delicious. Next time I will be sure to use the thinner rice noodles as I could only find the thicker ones when I was shopping for ingredients but it was still a wonderful, clean tasting dish. Jenn, you are amazing, I use your recipes at least 2 times a week for the past year or so and I’ve yet to find one that is less than 5 stars. My family and I appreciate you tremendously! What could I use as a substitute to the fish sauce? Im allergic to all seafood. Hi Michelle, There really is no great substitute for fish sauce, but soy sauce might work here. Okay thanks I will try the soy sauce. Your recipes are simple but oh so tasty and comforting. We had the beef stew for dinner this evening and this is a must for my dinner rotation. Thanks again. I’m allergic to all shellfish but found that I do fine with “Thai kitchen” brand fish sauce. Soy sauce should be an ok alternative if you truly can’t do any fish. Do you think this would freeze ok or would the texture be compromised? I don’t think this soup would freeze well, Sadie. Sorry! Hi Jenn. Question: this recipe only states to drain the rice noodles, but the pic shows the noodles being held under a running tap – implying they were also rinsed – so – ?? Do we just drain them, or drain and rinse them?? Hi Sandra, It’s best to run them under cool water to stop them from cooking, unless you’re adding them right away to the soup. Hope that helps! Is there a way to cut the spiciness from this? Love Thai but can’t eat hot spicy food anymore. The perils of ageing, I guess. Sure, Mary – you can cut back on the curry paste and omit the Sriracha. I’d start with half as much of the curry paste and then add more to taste. Sounds delicious! Could I omit the coconut milk or substitute it with anything else? Hi Nicole, You could try omitting it, but you might start off with a half as much curry paste, fish sauce and lime juice – then add more to taste. I just worry those flavors might be a little too strong without the richness of the coconut milk to balance them out. Hope that helps! Jenn your a culinary goddess! I have a thing for Asian soups, especially if noodles are involved. Like you, I’m hibernating from the bitter cold weather. This was really quick, super delicious, and satisfying. Warmed me right up too! For your readers who like spicy I recommend the Mae Ploy green curry paste. I get mine at a local Asian store for $2.60. It can also be found on Amazon. I use it for your Thai Shrimp recipe as well. Great tip, Kerri. Thanks, and glad you liked the soup! Jen, I have red curry paste. Can I use that instead? Thank you! Sure Ruthie, that will work here. Enjoy! Happy New Year Jen! Was wondering if we could add something else or less noodles for a carb friendly version? Thanks!! Sure, Sara – you could omit the noodles and add lots of veggies. I followed the directions, but used poached shredded breasts instead of rotisserie, and I added spiralized zucchini, as one reviewer mentioned, with a smaller portion of noodles. I also had lite coconut milk so used that, but man Oh man, that broth! I drank it right from the bowl it was so good. Maybe it wasn’t as creamy as yours, but it was so easy to make, so fast, and so tasty! Thanks for another home run!